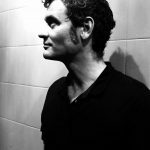 Northern Rivers region resident Joseph Carrall was pulled over by NSW police senior constable Chayne Foster on 23 June 2015 for a random drug test. At the station, Carrall’s second test showed traces of cannabis, while a third sample sent to the forensic unit tested positive as well. Mr Carrall was in familiar territory. A month earlier, on 26 May, officer Foster had pulled him over and recorded a positive test then as well. Carrall pleaded guilty to the first charge in respect of the earlier incident, and not guilty to the latter. 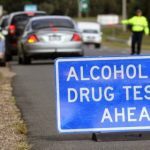 A drug driving conviction carries a maximum penalty of a $1,100 fine for a first offence, and a fine of up to $2,200 for a second or subsequent offence. A conviction can also lead to an individual’s licence being disqualified for six months. 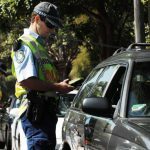 This offence, which makes it a crime to drive with the mere presence of a substance in a person’s system, was introduced via the Road Transport Legislation Amendment (Drug Testing) Act 2006. 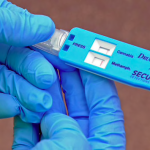 The Act also established the legal framework for NSW police to begin their mobile drug testing (MDT) operations. There is a different offence for driving under the influence of alcohol or other drugs under section 112 of the Road Transport Act. This law is invoked when drivers are charged with drink driving. Unlike MDT, random breath testing determines whether an individual is driving with dangerous levels of alcohol in their system. The Dräger devices currently used in MDT operations test for only the presence of three substances: THC, MDMA and amphetamines. In October 2015, NSW Greens MLC David Shoebridge obtained police standard operating procedure manuals, which confirmed that officers are actually testing for minute traces of these specific substances. 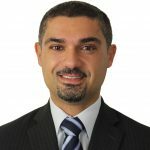 “MDTs should be testing for impairment, not merely the presence of drugs, so it’s time we moved towards testing for all drugs – legal and illegal – that impair drivers and actually ensure road safety,” Mr Shoebridge told Sydney Criminal Lawyers® last week. Mr Carrall testified in court that when he was arrested the first time, officer Foster advised him, “If you had waited a week, you would have been fine.” Carrall added that he relied on this advice before driving again after having smoked cannabis. He gave evidence that the last time he had smoked cannabis was nine days prior to his second arrest. 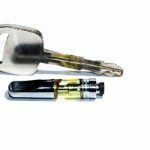 The defendant admitted that during the period between smoking and being pulled over over, he had been at a house where a man had smoked a joint in another room. But Carrall said he believed that this potential passive smoking episode wouldn’t have affected him. And at the time of the arrest, he was convinced that he was fine to drive. In giving evidence, senior constable Foster said it was unlikely he told Mr Carrall to wait a week before driving after smoking marijuana, as it would be encouraging offending. But he admitted he couldn’t remember. Magistrate David Heilpern said that Mr Carrall’s “clear and unambiguous evidence” under cross-examination had led him to believe the defendant’s version of events. He accepted he’d been advised to wait for a week, and that he had smoked the marijuana nine days prior to his arrest, and at no time thereafter. His Honour pointed out that it was obvious from the reading speeches made by the ministers who introduced the original legislation into parliament that the law was designed to be used for drugs that were “active” in a person’s system, and would therefore impair their driving. The magistrate ultimately had to decide whether Mr Carrall had made an ‘honest and reasonable mistake’of fact – which is a defence to ‘strict liability’ offences such as drug driving and drink driving. 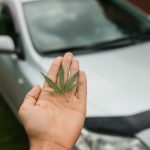 Prosecuting lawyer Mr Huxtable argued that he hadn’t, because all drivers should be well aware of a law such as driving with an illicit substance and Carrall should have known he may have had cannabis in his system. His Honour disagreed, finding that the combination of the police officer’s previous advice and the evidence that Mr Carrall had smoked nine days earlier earlier, and not thereafter, was sufficient to ground an honest and reasonable mistake. “the defendant honestly believed that the cannabis was no longer present”, the magistrate concluded. He therefore found the defendant not guilty of the second charge. Back in 2015, the NSW government announced it was tripling its MDT operations to 97,000 tests a year by 2017. A main focal point of this blitz has been the Northern Rivers region. The conviction rate in that area was five times the state average over the 24 month period ending in June last year.